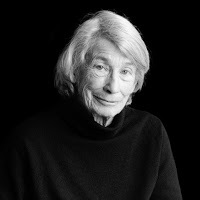 About 18 months ago, a friend introduced me to the poetry of Mary Oliver. As often happens when one is introduced to something new, all of a sudden you seem to see it at every turn. For instance when we bought a red Prius, all of a sudden we seemed to see a red Prius everywhere we went. It wasn’t that red Priuses came out of the woodwork when we bought one; we just became more aware of them. 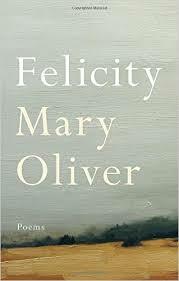 Well it has been the same way with the poetry of Mary Oliver. I started hearing her quoted in sermons, mentioned by authors, interviewed on the radio and so much more. From that first book of poems I bought another, Felicity (Penguin Press, 2016). On page 9, I found the poem entitled “Moments” which immediately spoke to something deep within me. I love the last stanza. How often have I not spoken or not acted because of caution: a fear of rejection, of not being understood, of feeling foolish, or even being rejected. As I move through my 60’s, I am being constantly bombarded with messages warning me about the need to save for retirement, to gird myself against ageing, to prepare for financial constraints, to avoid foolish choices, and prepare for the worst. At one level this is all good advice. Yet at the same time I find myself rebelling against these messages of fear and caution and opting for freedom from expectations and from what others think is “right” for me. Two years ago a buddy and I participated in an obstacle course called the Goliathon; we were easily twice the age of most the other participants, but we had a ball. In the last few years I have taken up long range biking, and will hope to ride 100 miles in a day one time at least this this summer. I also am taking advantage of the opportunity to visit Kenya with a group of students; Africa is a place that has always fascinated me. So many people are surprised and wonder if I am running away from the truth of my age. However it is not that; rather its that I want to grab life for all that is there. This is not to say I am just doing physical things. I also want to be “headlong” in my generosity, in my expressions of both love and outrage, and in my relationships. To the best of my ability I choose to not let anything that needs to be said, remain unsaid and what needs to be done, to be left undone. I want to invest myself in people and causes that make the world possibly a more peaceful, healthy, caring and just place. I want to spend myself in things that matter and people who mean a lot to me. Even, if possible, to excess. Such a choice is not easy because I have been socialized to be “responsible” and “prudent.” I have been taught to act my age, and behave according to the expectations of my surroundings. I am supposed to be at a place where I “settle down” and “settle in.” Yet the Jesus I seek to follow calls me to give it all up to follow him and his early disciple Paul claimed “foolishness” as a positive virtue. That’s good enough for me. So I seek to live a “headlong life” to whatever extent that is possible. I am still living into this desire… and who knows where it will lead; but if Mary Oliver is right, the life I save may be my own.